Everyone loves a good mystery and fortunately our world is full of them. This is due to the grand conspiracy that is being foisted upon us from the evolutionary establishment and hypocrisy of the modern scientific community. In essence, they are covering up as much as they are digging up. 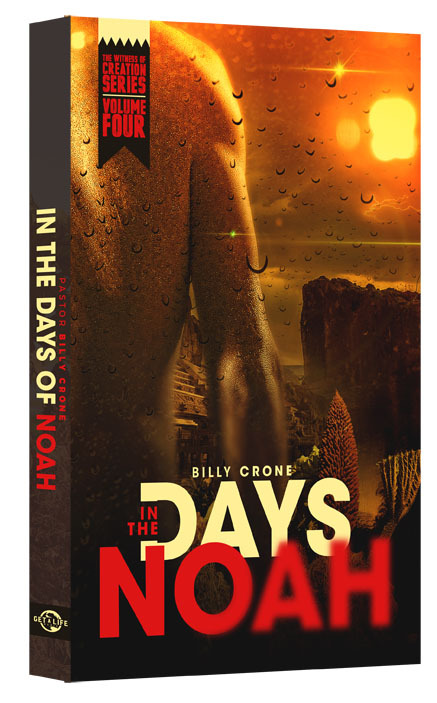 Therefore, this study, “In the Days of Noah: Giants, Ancient Technology, and Noah’s Ark” seeks to equip you with the hard facts and solid proof concerning the true history of humanity. Here you will see actual video clips, interviews, and a plethora of photographs that will unlock the answers to such mysterious questions as, “Was there an advanced high-tech society that was destroyed by a great deluge? How did the ancients acquire this knowledge? Did it come from UFO’s or a highly advanced race of intelligent people? Who are the Nephilim? Are giants real? Is there any truth to the Greek Mythologies? Did Noah’s ark really exist? Is Noah real?